Today musicians across the country will play both the “Star Spangled Banner” and “God Bless America.” Over the years, many people have called for making “God Bless America” our national anthem. Among other arguments, it is a much easier song to sing. I happen to agree, but I have an ulterior motive. I want the royalties. 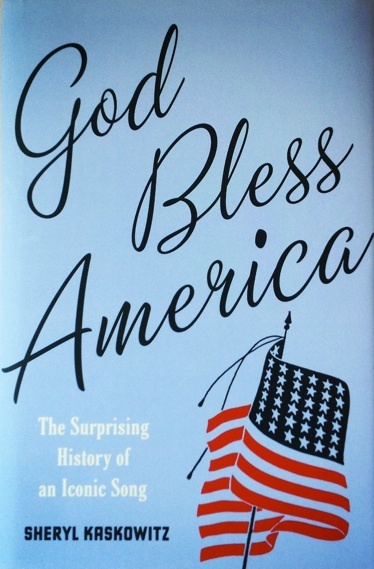 Written in 1917, “God Bless America” debuted on Kate Smith’s radio show in 1938. It was an instant hit. Irving Berlin’s lyrics captured his love of the United States, the country that had welcomed his family when they fled Russia in 1893. He decided to use the royalties from this song to invest in the country’s future, especially its youth. In July 1940 Berlin set up the God Bless America Fund and instructed its trustees to equally distribute all royalties to two all-American organizations: the Girl Scouts of the USA and the Boy Scouts of America (Note: We are NOT the Girl Scouts of America). Originally the funds were distributed to councils across the country, but since the 1990s the fund has focused on the Girl Scout Council of Greater New York and the Greater New York Councils: Boy Scouts of America. Both organizations used the funds to provide programs in low-income neighborhoods. The Fund was not satisfied by the council’s statement in 2012, and it refused to cut a check to the Boy Scouts for several years. However, eventually the Fund was satisfied and donations resumed. For 2015, the New York Boy Scouts received a donation of between $50,000 and $100,000. DC Girl Scouts in Cold War Propaganda? My name is Miya Carey, and I am a doctoral candidate in history at Rutgers University in New Brunswick, NJ. 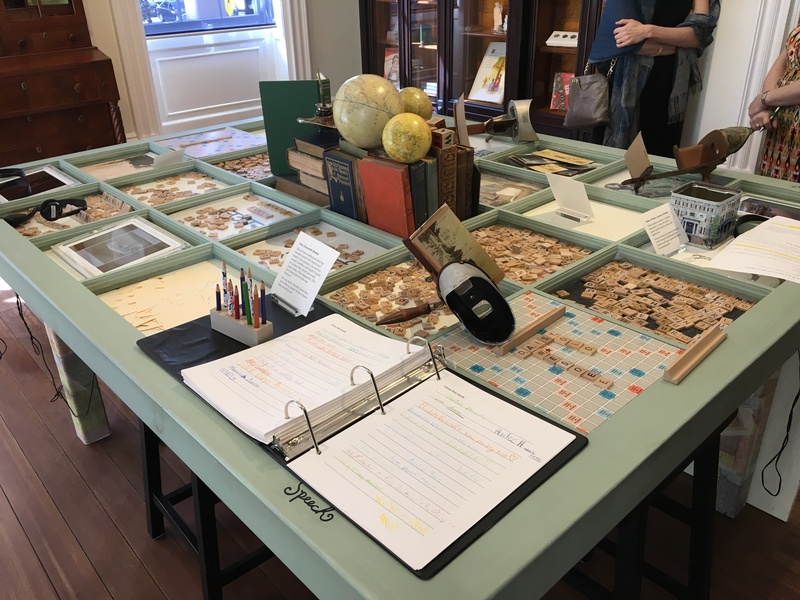 Last month, I had the pleasure of spending a week at the new Girl Scout Council of the Nation’s Capital History Center in Frederick, MD, completing the last bit of my dissertation research. My project looks at the shifting constructions and experiences of black girlhood in Washington, DC from the 1930s to the 1960s through an examination of African American and interracial girls’ organizations. One of the main organizations in my study is the Girl Scouts. 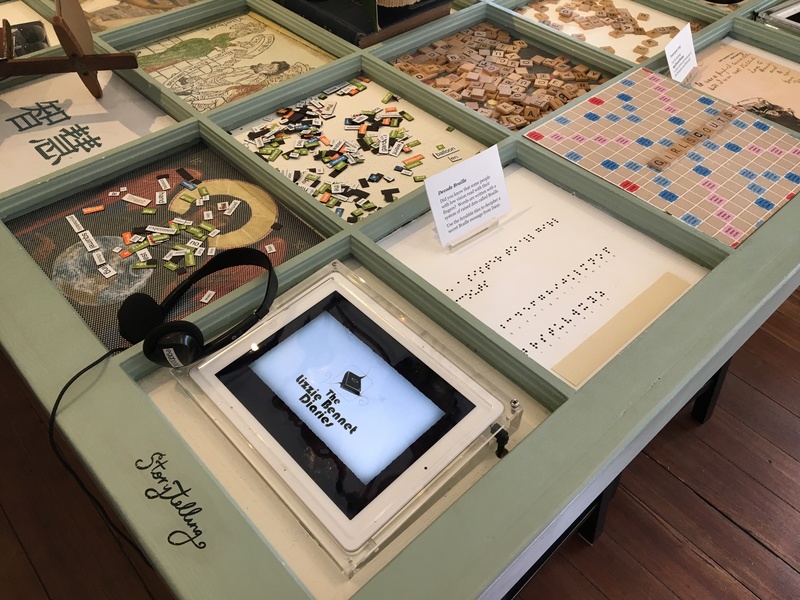 The most striking photographs in the album featured the scouts, who were all African American, dressed in their sharkskin “stewardess” uniforms and posed listening to record players, creating scrapbooks, and writing post cards. Following this series of photographs is a note that says, “photographs taken by USIA.” This note refers to the United States Information Agency, which President Eisenhower established in 1953 as the organ of U.S. public and cultural diplomacy. It is unclear how the USIA used these photographs, if they used them at all, but it is useful to speculate how these photographs could have been used, and why the USIA thought that photographing the scouts would further their goals. The agency’s main goal was to maintain the image of the U.S. abroad as the bastion of democracy and on the right side of the Cold War. However, this was a difficult task when images of racial violence and civil rights protest dominated international headlines, and revealed the cracks in America’s promise of democracy for all. The Our Cabaña photographs were taken after Little Rock, the start of the sit-in movement, the Freedom Rides, and numerous other civil rights struggles. The common thread linking each of these events is that young people were at the center of each. The scouts offered an alternative image of black childhood and young adulthood abroad. The image of black girlhood offered in these photographs is one that is both playful and patriotic. The scouts were doing typical teenage activities, such as listening to music, rather than being victims of racialized violence. They were proud members of the Girl Scouts, an organization that espoused patriotism and democracy, rather than young people marching against injustice. 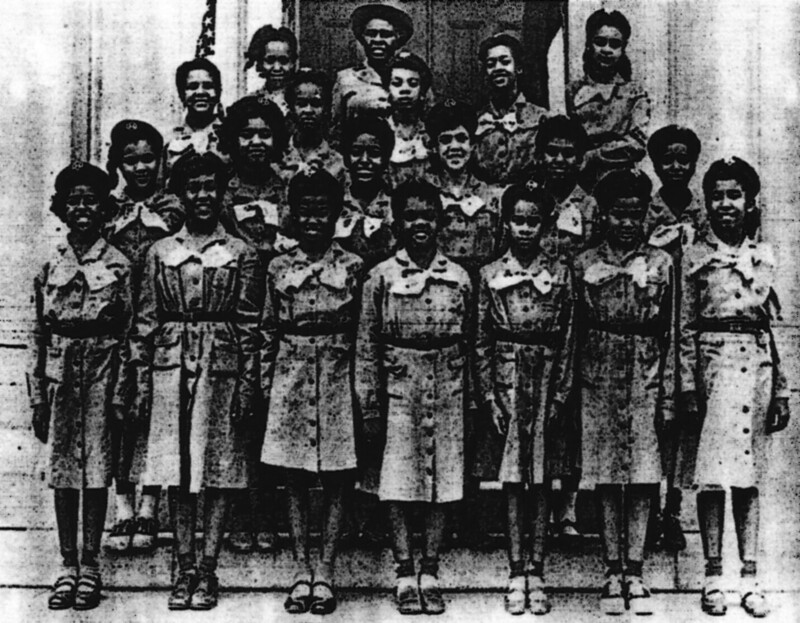 The USIA could use the figure of the black Girl Scout in American propaganda to demonstrate racial harmony, and counter the notion that the United States was in opposition to its black citizens, even if this was not completely true. I still have many questions about these photographs. How did the USIA come to photograph the scouts at Our Cabaña? Did the agency have a relationship with the Girl Scouts? Most importantly, what did the girls in the photograph think? Did they know the purpose of photographs and the USIA? I would suspect that when they embarked on their trip to Mexico, they saw it as a chance to experience a culture different from their own, rather than serving as ambassadors of the American model of democracy. Regardless, these photographs demonstrate the far-reaching and rich legacy of the Girl Scouts in American culture. The District of Columbia Council’s flagship resident camp, Camp May Flather, quietly desegregated in the summer of 1955. The Committee on Camping recommends that there be no restrictions in any camp based on race. This means that in troop camping we will continue the present practice of camping as troops, but when council-wide encampments are held, there is no segregation. Day camps will continue to be operated by District Committees and attendance will be limited by District jurisdiction. Established camps will be open to all girls in the District of Columbia and Montgomery County [Maryland] regardless of district jurisdiction. There was no big fanfare, no press release, just an invitation to members of a highly experienced troop of African American girls from the Charles Young School in Washington, DC. Troop 35 was led by Pansy Gregg, a second-grade teacher at Charles Young. Camp May Flather ran from June 27 through August 22, 1955, and five girls attended two-week sessions at camp: Beverly Pyles, Sandra Smith, Norma Turner, Sheila Gross, and Theresa Dorsey. 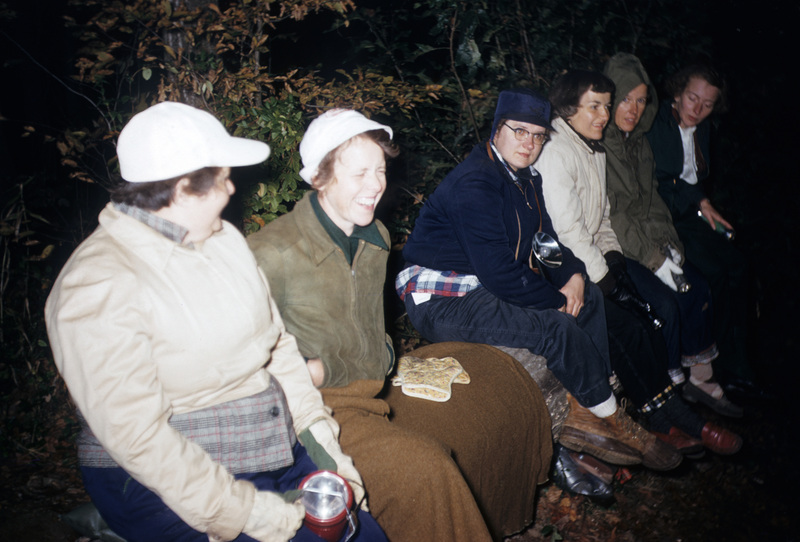 Council staff and members of the Camp Committee went to the bus stop as girls prepared to depart for Mt. Solon, Virginia, that summer. 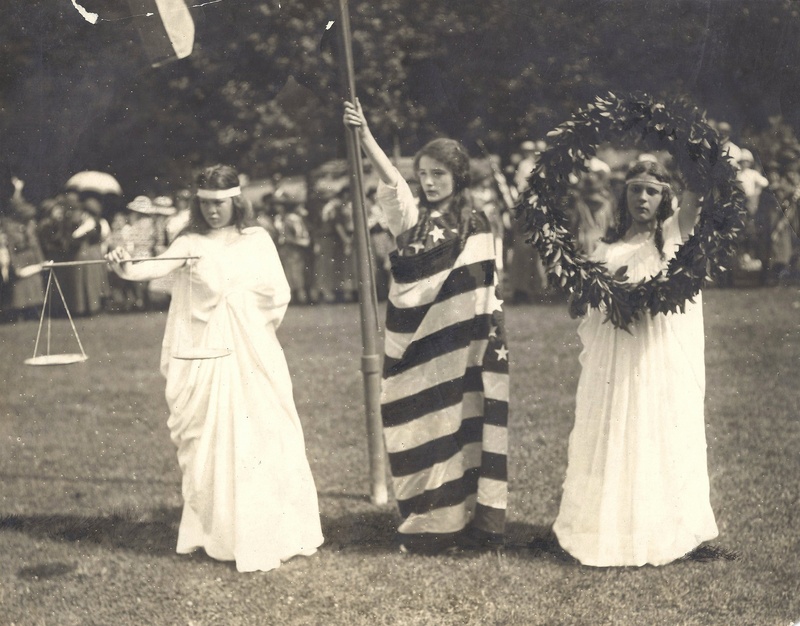 The women announced that from this day forward, Camp May Flather was open to all girls. Camp Committee chair and future council president Gertrude “Bobby” Lerch” waved a council checkbook and said that she would provide immediate refunds to any family that objected to the new policy. None did. I had a lot of fun at Camp May Flather last summer. I learned how to swim and how to make earrings and bracelets. I was in a group that played games and sang funny songs. We went on an overnight hike and slept out in the open. I had such a good time that I would like to go back next summer. Prior to 1955, local African-American troops had primarily camped at Rockwood, just outside of Washington. As a National camp, Rockwood was open to all Girl Scouts. 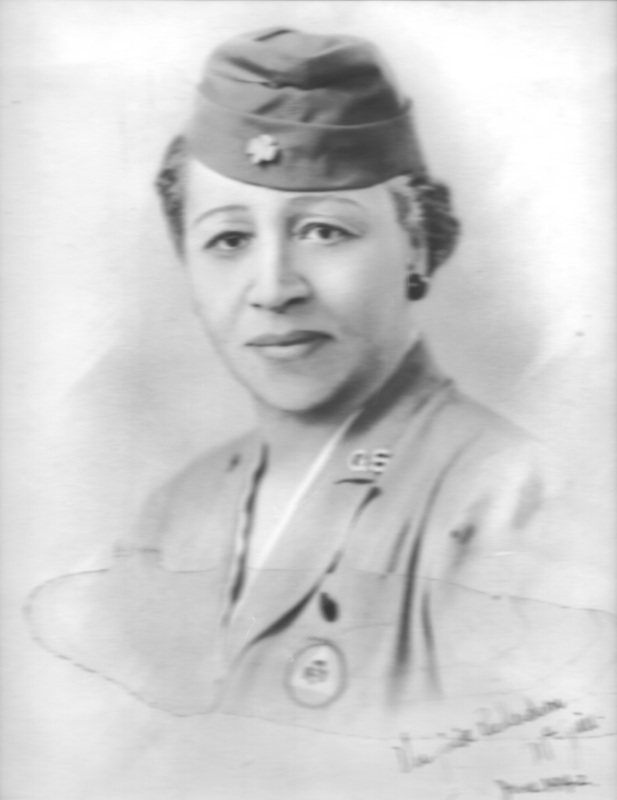 At the time, District VII, the administrative designation for African-American troops in the District of Columbia, had been raising funds to purchase their own camp. Leaders voted to donate that money toward a new administrative building at Camp May Flather. That building was named for Virginia McGuire, the original organizer of District VII in 1934. McGuire later became the first African American member of the council board. Camp May Flather’s desegregation came one year after the US Supreme Court’s landmark Brown v. Board of Education of Topeka, Kansas, decision. It would take another four years before Virginia began to desegregate its public school system. 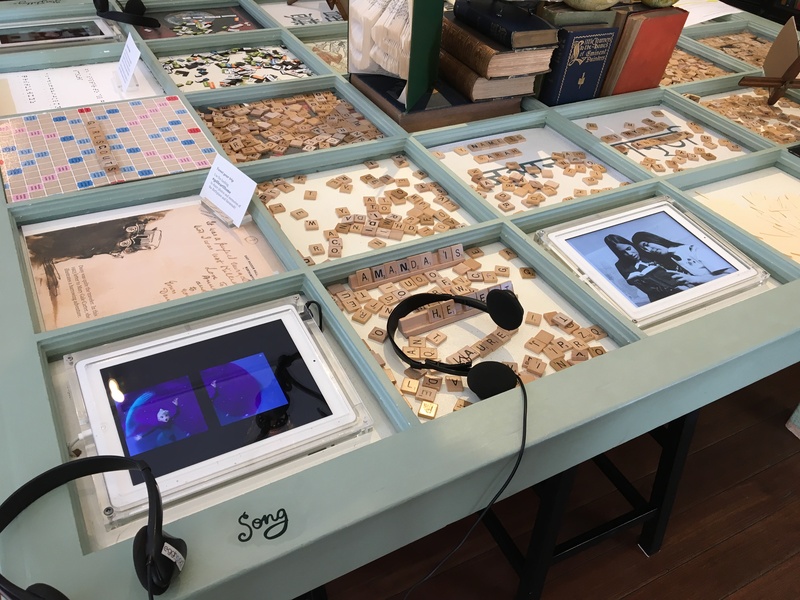 Information for this post was greatly aided by a recent donation from the family of Anne Murray, who was a member of the Camp Committee at the time of desegregation. I’ve already written about the wonderful camp scroll included in this material, and I hope to find more information as I explore the contents.